Children’s education across Wales is being undermined by the school funding crisis and annual redundancies to school support staff. That’s the stark warning from UNISON Cymru Wales. 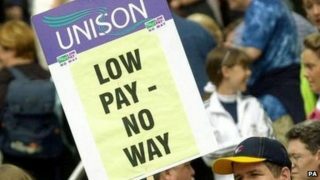 The trade union said each year, predominantly female low paid teaching assistants, cooks, cleaners, receptionists and more, are told by their school they must reduce their working hours or help make other savings if they wish to keep their jobs. Reducing school support staff creates problems for teachers and inevitably pupils lose out. “Years of spending cuts are hurting our children’s education. 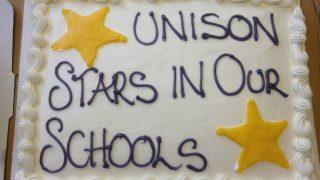 Schools can’t plan as funding instability each year results in a round of redundancies, hitting low paid female staff hardest. “The remaining support staff have to make sacrifices which put them under tremendous pressure: cutting hours or job-sharing for the good of the school as a response to budget constraints. The following year it happens all over again. Cuts are rarely higher up the school management chain. 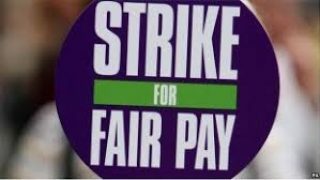 “Imagine every September not knowing whether you’ll have a job the following year, whether your hours will be reduced and your take-home pay cut. Some schools are reacting to reduced funding by proposing to close early but according to UNISON, there is no call from the public to cut school hours. 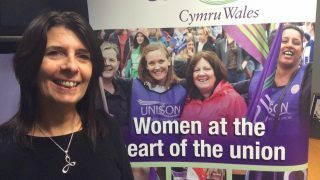 UNISON intends to organise a #SpeakUpForSchools campaign day at school gates across Wales, involving support staff, teachers, parents and supporters to draw attention to the school funding crisis. Teaching assistants undertake vital but unheralded jobs which make schools the success they are. They assist Special Educational Needs children and those in need of extra support; help teachers to cope with big classes; release teachers for preparation time and help those with English as an Additional Language. Canteen staff and lunch time supervisors ensure children are fed and cared for during these times and schools are kept clean and tidy thanks to cleaning staff.